We’re back at it. Just completed week one of our second term. After a three week Christmas break, week one had my head swimming. Just exactly how did I manage to do the first term again?! It’s a shock to my system to jump back in. We did have a glorious Christmas though. I was determined not to miss it this year. Last year with C-Bear’s appendicitis and missing so much school it seemed like we were trying to make up missed days all through Christmas, and I was determined we would really take time to enjoy the rest and traditions of the season. The break was even more welcomed than I thought it would be after some stressful vacation mishaps in November, one of which was me landing in the hospital the last few days of our trip…2000km from home. For all of us to be home and feeling well for Christmas was a blessing I did not take for granted! We celebrated. We feasted. We vegged. And all the while my heart thrilled at the fact that I have a Saviour who understands physical restrictions and suffering. I have a Saviour in Jesus that I can relate to with my whole heart. He knows what it’s like to be human, and yet He is my hero because He is the sinless overcomer. He is all that I can’t be…and for me. In Him alone my heart finds THE WAY to forgiveness…the forgiveness that bathes me in peace and joy and every heavenly blessing. ABC: Petits Contes by Jules Lemaître – short 1-2 minute stories we will listen to on Librivox, one story per week. Going through each letter of the alphabet, a different animal is highlighted in each one. This week we listened to a story about an old woman and her donkey (âne). The text and illustrations can be found here and are very helpful in understanding the stories. French series – using Cherrydale Press’ Speaking French with Miss Mason and François, we’ll be learning how to say various series of actions from our everyday life. I try to work through about 3 or 4 different series over the course of a term. We first learn how to say the actions and phrases in English, then slowly transition to the French. We are currently working on series 15, J’écris. This is a series we can practice frequently throughout the day after going over it together every morning at breakfast. French folk song – Le petit prince…we’re especially enjoying this version a couple of mornings each week. 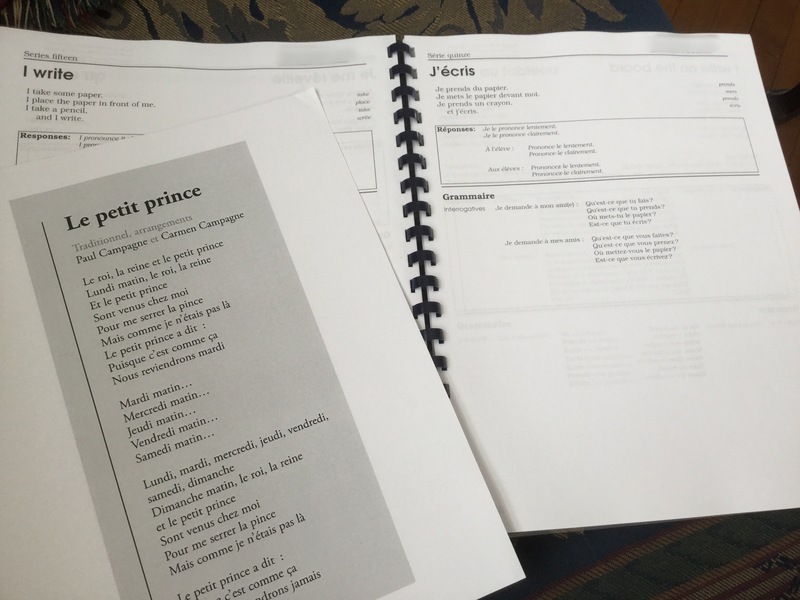 Audio/video lessons – For our two youngest we include a smattering of very basic French as well, listening to one of Alexa Polidoro’s children’s audio lessons one morning per week and watching a Bonjour Tonton video on YouTube one morning per week. We’ll spend our Thursday afternoon tea time alternating between artist and composer study each week. 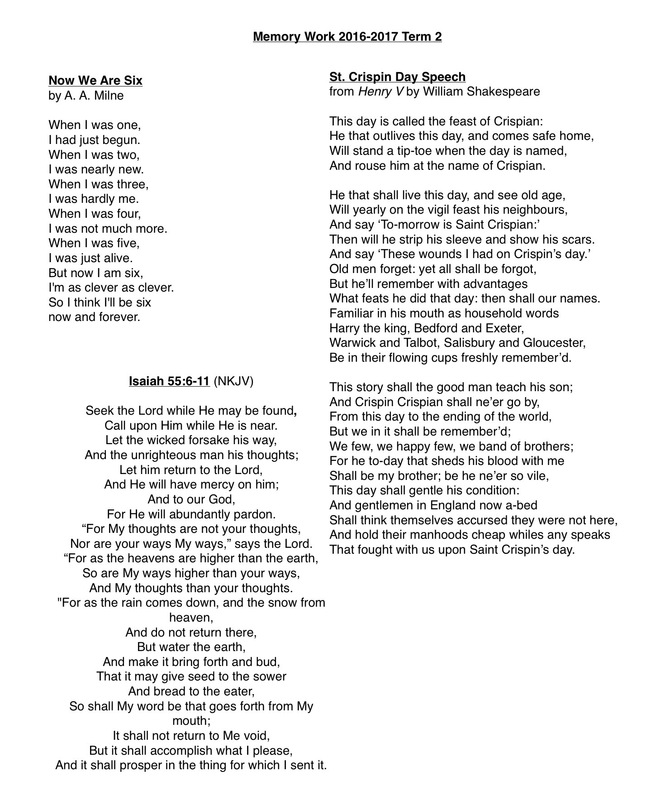 hoping to find time to listen to this past Ideas episode from CBC radio called Messiah Revealed in which Ivars Taurins who has conducted Messiah over 200 times reveals its hidden treasures! To be honest, I wasn’t all that enthused at the prospect of studying rocks this term, but as I’ve delved into the topic myself I’m getting kind of excited. The material is all new to me so I’ll be learning right alongside the kids. I hope my interest and enthusiasm will be contagious. This week we enjoyed a winter nature walk. In hindsight the trail was so icy we would have been better off to have skated it. What is usually a twenty minute walk was more like an hour long crawl, inching our way across the ice. 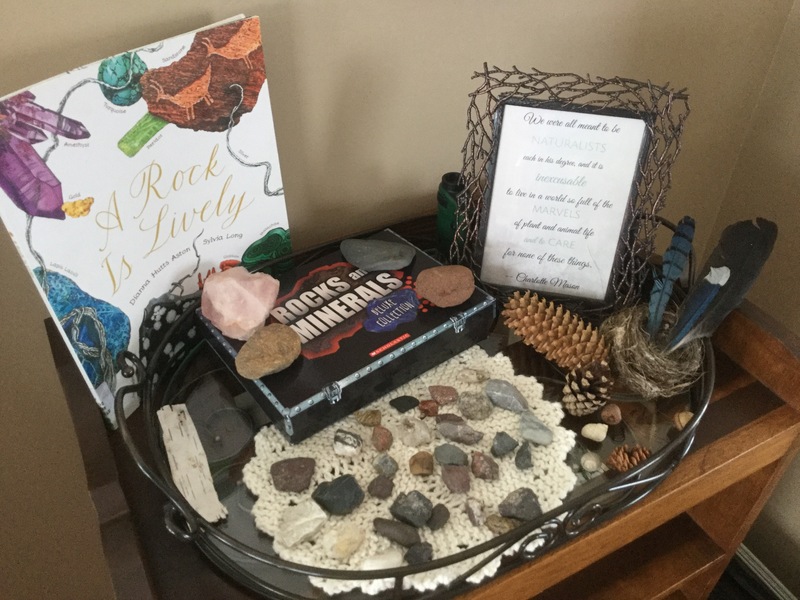 We did find a few rocks that weren’t frozen to the ground though, and added to some interesting rocks we already had on hand at home, we ended up with a good little collection to examine on Friday during our nature journaling time. It was made doubly fun by inviting another CM homeschool family over to read and sketch together. We read a few pages from a great book called A Rock is Lively to introduce this term’s topic. 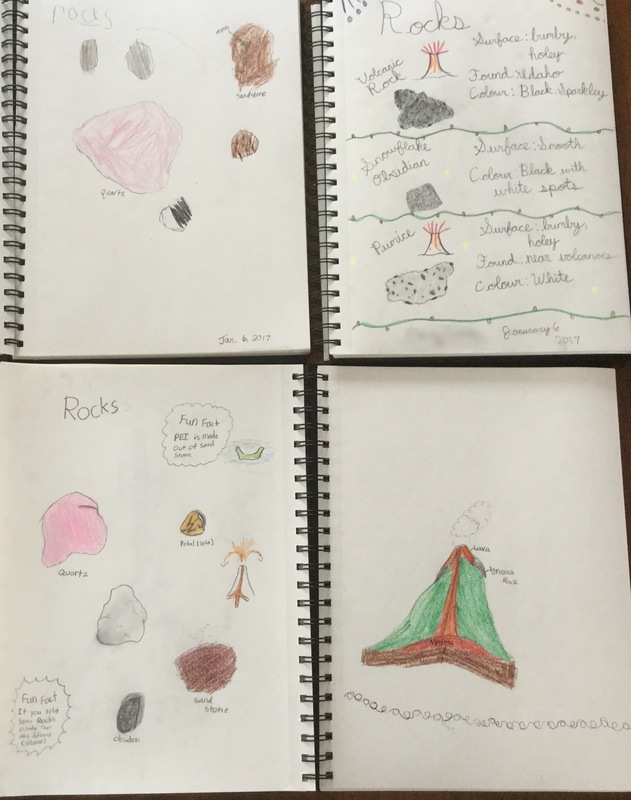 Then we had fun feeling the textures of the different rocks, looking at them with our handheld microscopes, and choosing a few to sketch in our journals. Next time we’ll delve into the three main classifications of rocks and learn about the rock cycle. I was especially proud of Belle, my year 1 daughter. It was the first time she has taken the time to really observe and try to draw what she is seeing in her journal. She was excited to find a bit of moss growing on a big sandstone rock and remembered to add that little dot of green to her drawing! It made me smile! So…how’s that for a collection of links?! I hope there was something interesting or useful for you to use or explore in there. Happy new year!